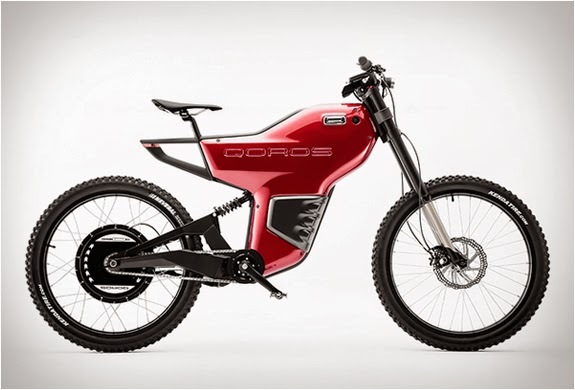 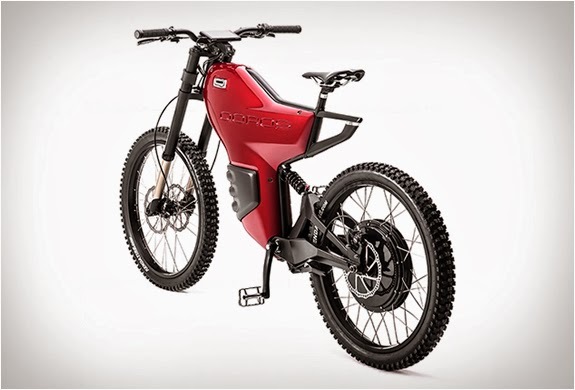 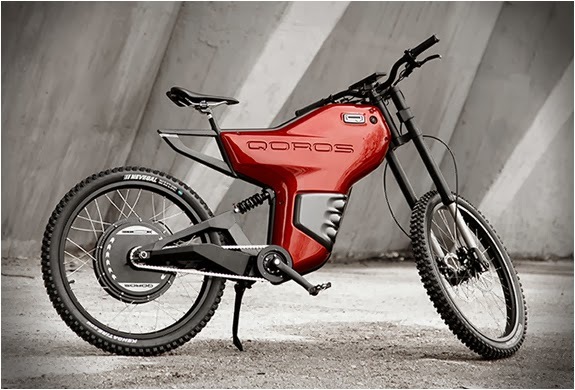 Chinese automotive manufacturing company Qoros have presented at the Geneva Motor Show their new futuristic electric bike, the Qoros eBIQE Concept. 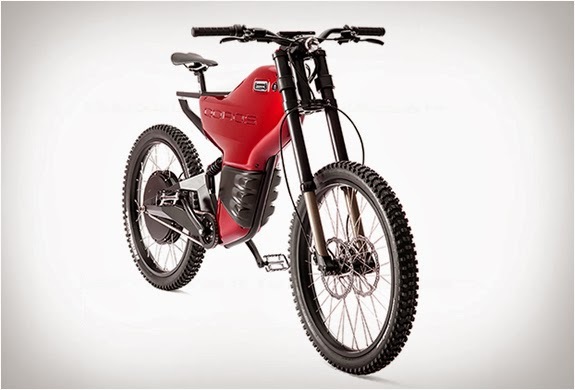 eBIQE is a mountain bike styled concept, perfect for commuting, leisurely rides or off-road adventures. 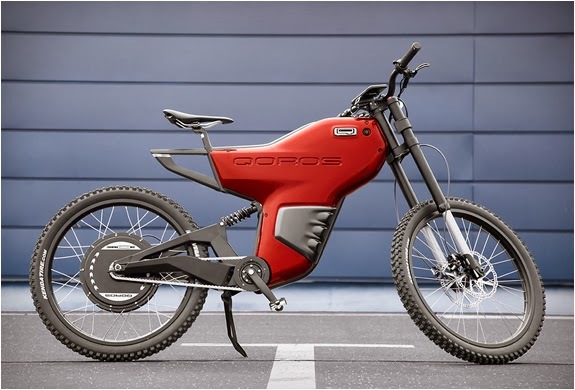 Riders can choose from three cycling modes, pedaling with no assistance, pedaling with assistance from the electric motor, or choose motor-power only, allowing a top speed of 65 km/h (40 mph), and a range of 75-miles. 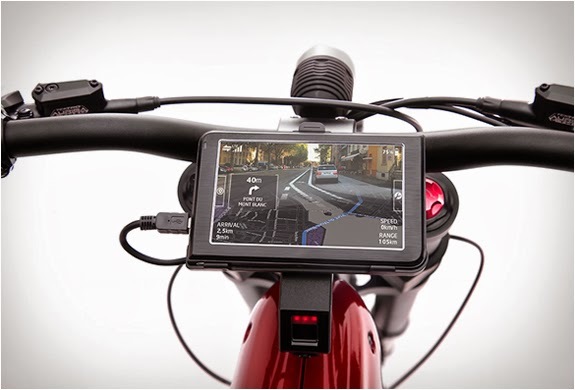 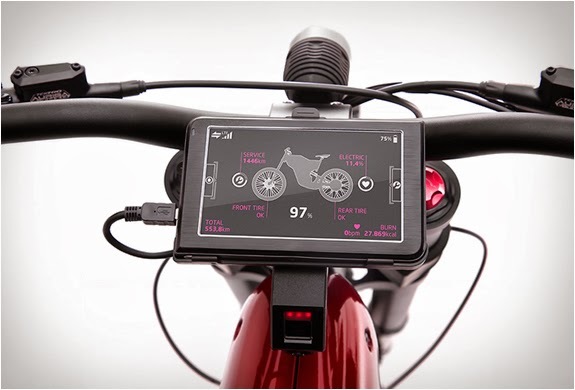 The Tech advanced bike features a fingerprint recognition system, with the ability to recognize multiple users and is equipped with a five-inch touchscreen always connected via 3G to the internet, displaying route planning, intelligent navigation, social networking and your bike´s condition including tyre pressure, battery charge and range, plus a bunch of other stuff.